MAURICE CALVERT, OLD PHOTOS 2, No`s, 162-169. 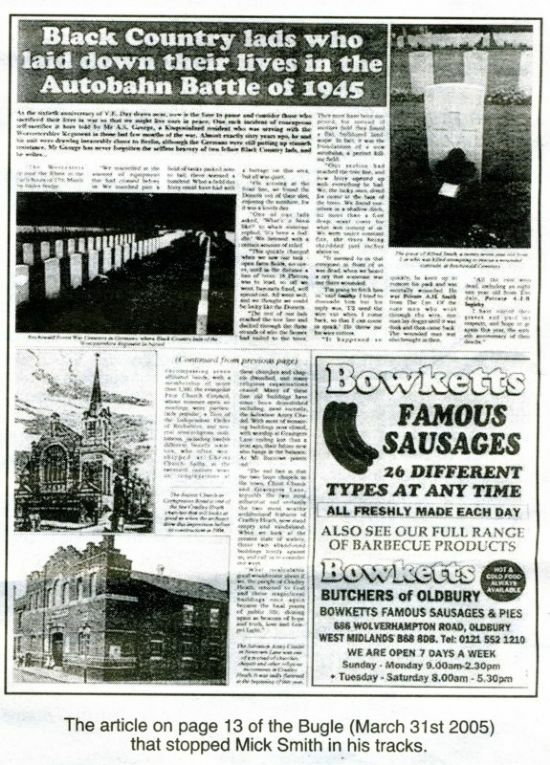 CAN THE PERSON WHO SENT THEM IN PLEASE GET IN TOUCH I HAVE AN IMPORTANT MESSAGE. 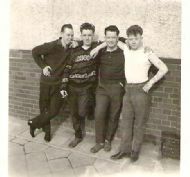 MORE OLD PHOTOS NEEDED. 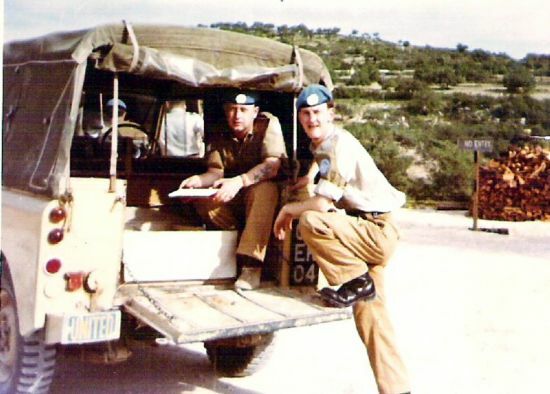 IF DISTANCE IS NOT TO GREAT, I CAN BRING MY SCANNER & LAPTOP TO YOU,SO YOU WON`T LOSE PHOTOS IN THE POST & YOU CAN PUT THE KETTLE ON! 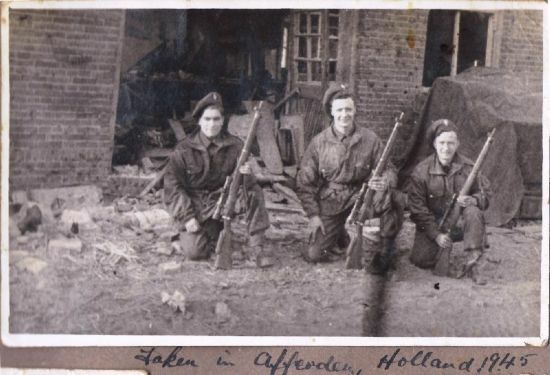 is that a LMG badge on their sleeves? 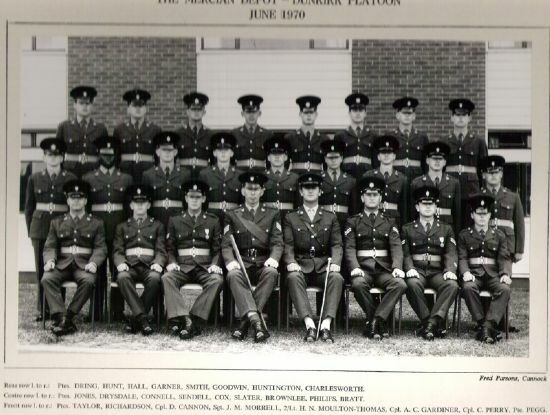 2nd & 8th Battalion. 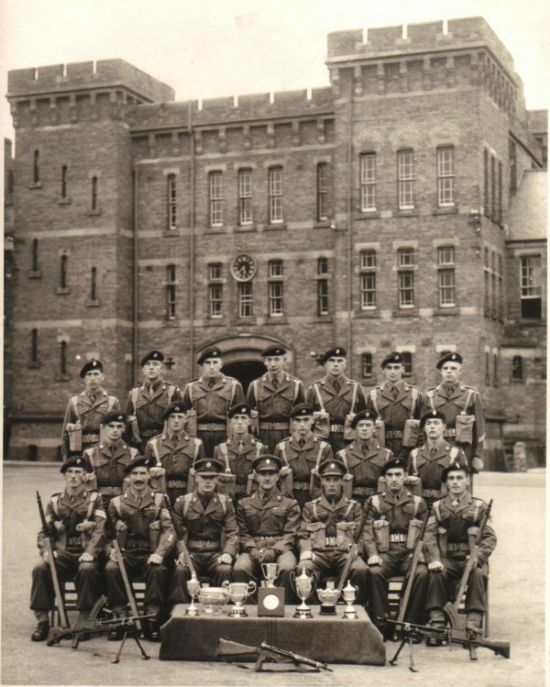 Worcestershire Regt. 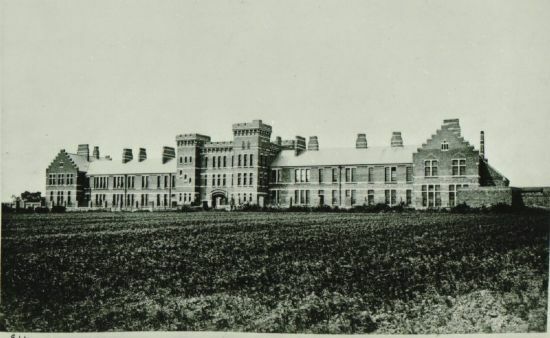 Stanley Road Billets. 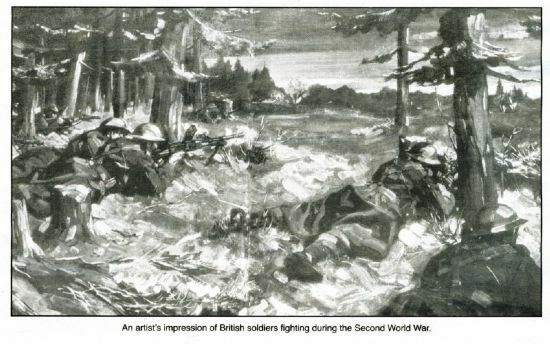 Worcestershire Nov 1914. 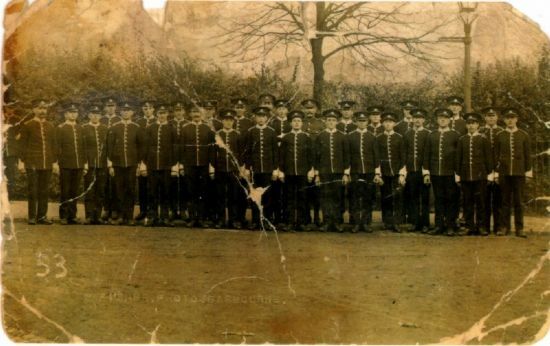 Company formed in Malvern in Sept 1914. photo by:- Fisher Photo Barbourne. 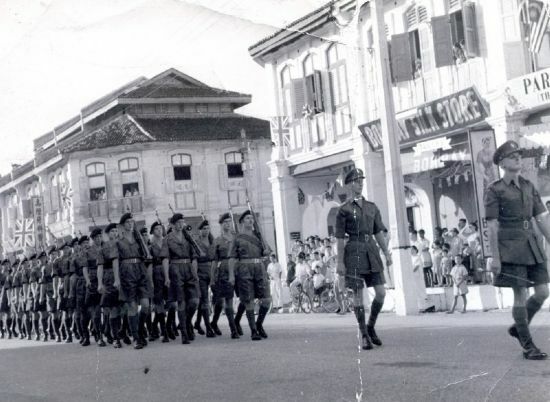 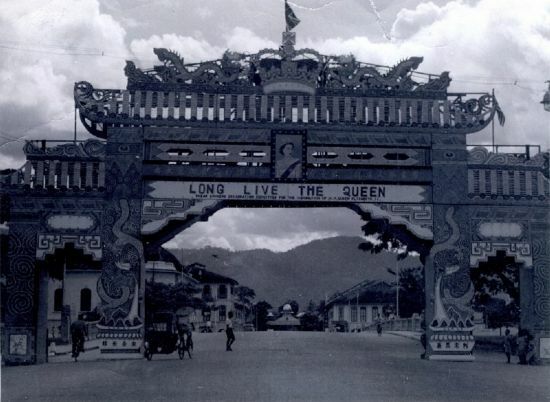 IPOH, MALAYA. 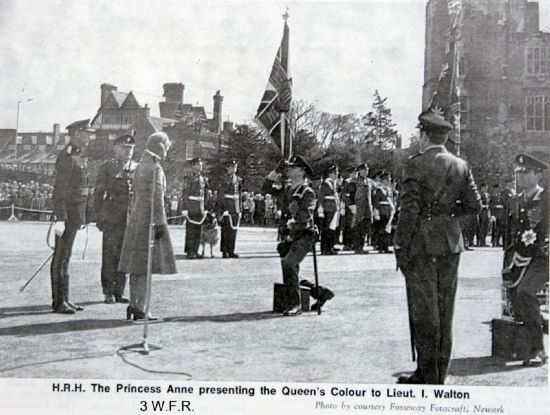 QUEENS CORONATION 1963. Info from ted Rowley:-Hiya mate. got some names for a couple of the picture, both of them are of the Kohima trophy competition winners. 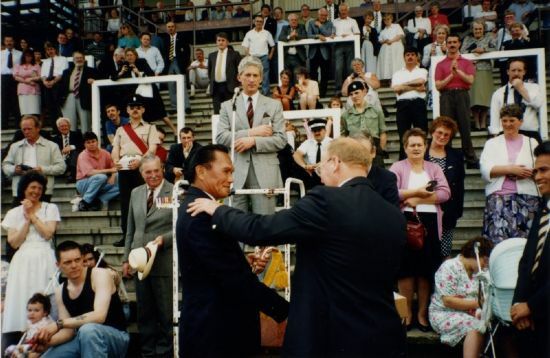 Photo 11, Trophy presentation again. 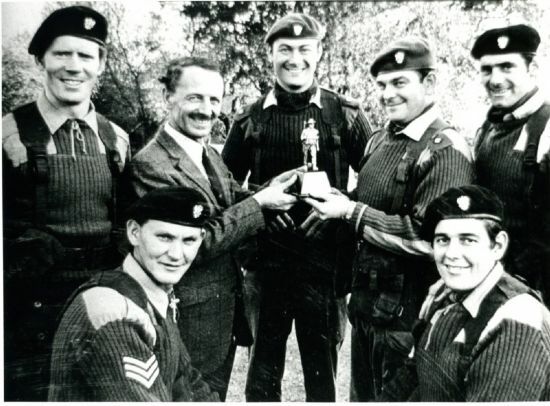 I think the one receiving the Trophy is Charlie Fish (C/Sgt) next to him is his nephew a young L/c by the name of Alan Fish. 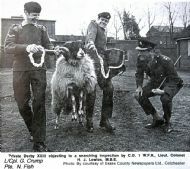 The officer presenting the award maybe Colonel Wilkinson. 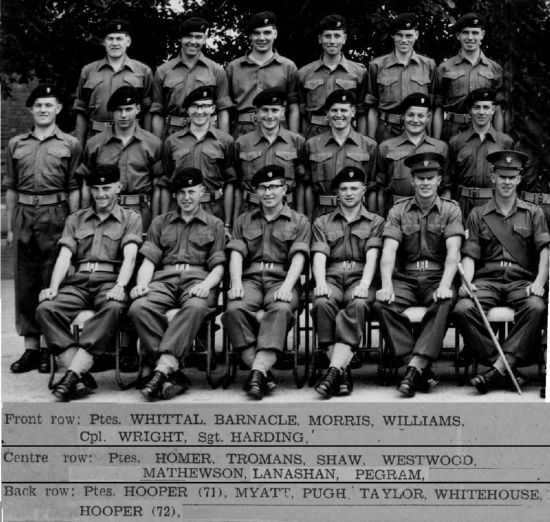 The rest of the I can't put names to. 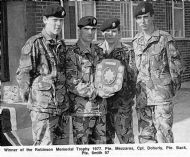 It was on the occasion when the team from D coy Evesham/Pershore won the trophy. 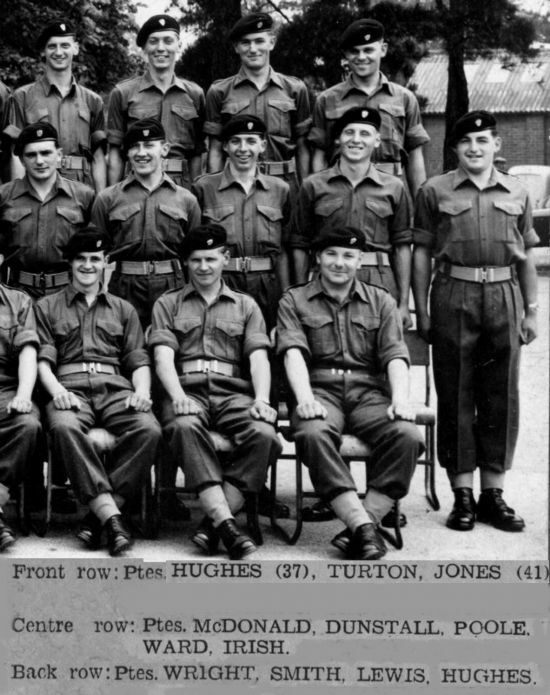 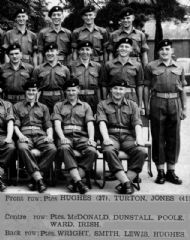 I was in the runners up team from A Coy Dudley about 1963/4. 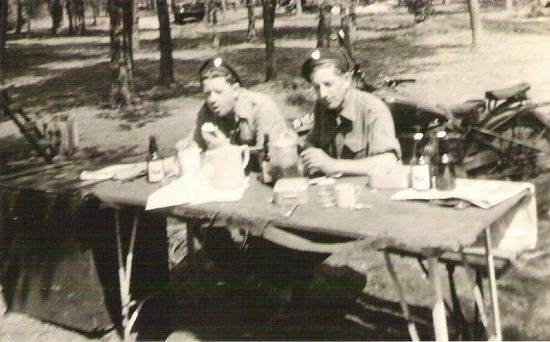 Grub Up! 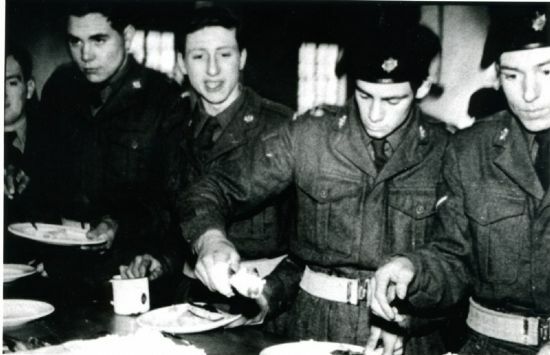 Kipper with two fingers bandaged serving himself, was it fish fingers? back left, Eddie Oconnor, Brig?,Mjr K Jeavons, unknown, Alan Fish,Front left,Reg Bradley, Brian Turvey. 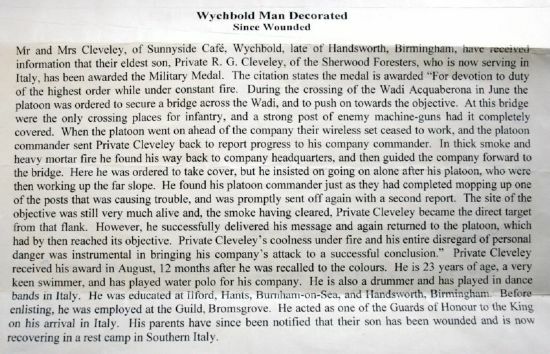 More info from Ted Rowley:- Hiya mate. 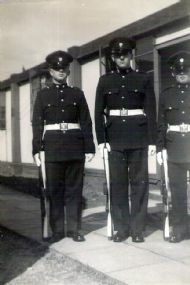 got some names for a couple of the pictures, both of them are of the Kohima trophy competition winners. Standing L to R Eddie O'Connor, Edward Tooby (col), Keith Jeavons (Col major when the picture was taken) ?? 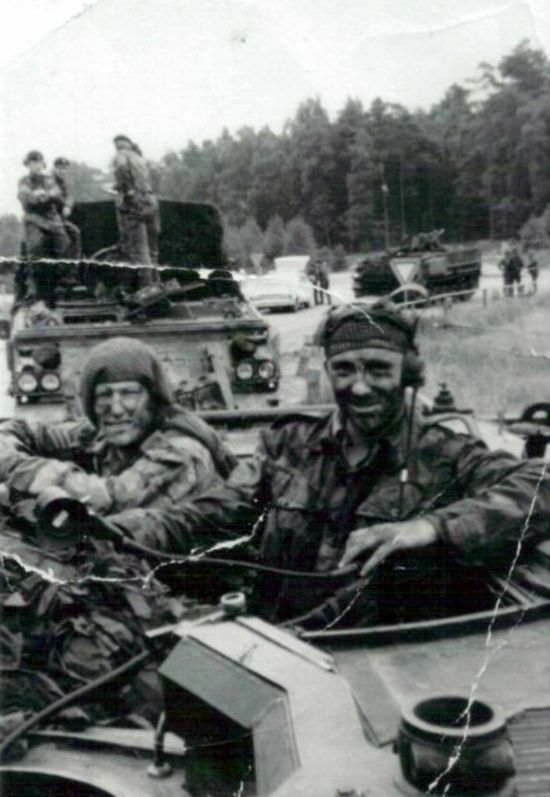 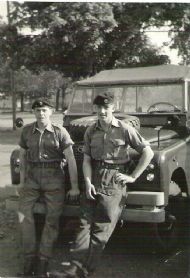 Robinson (capt) Alan Fish (L/c). NOT AN OLD PHOTO BUT WORTH HAVING ON SITE. 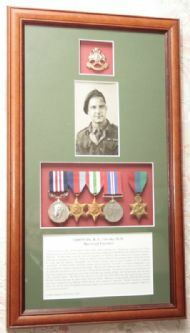 HARRY MASSAM WORCESTER BRANCH CHAIRMAN WFRA. 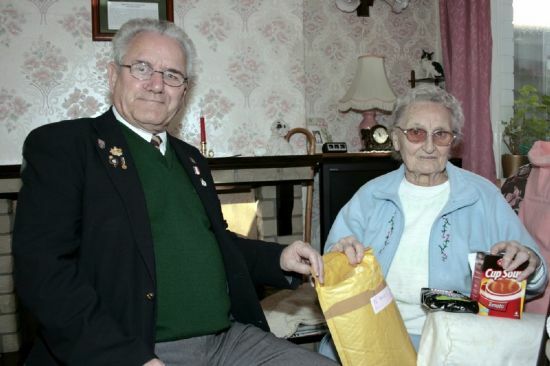 RECEIVING JIFFY BAG DONATION FOR 2 MERCIAN APPEAL (AFGHANISTAN OCT 2011 APRL/MAY2012)FROM MRS CLEVELY. 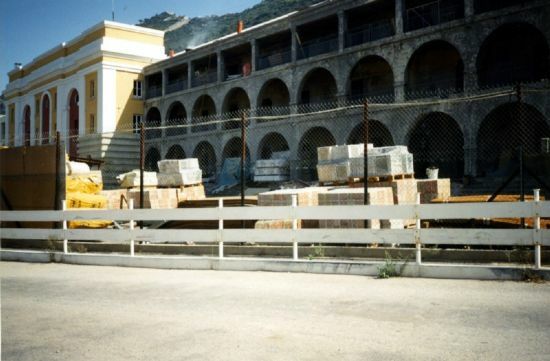 SHE DONATED 5 BAGS TO THIS APPEAL. 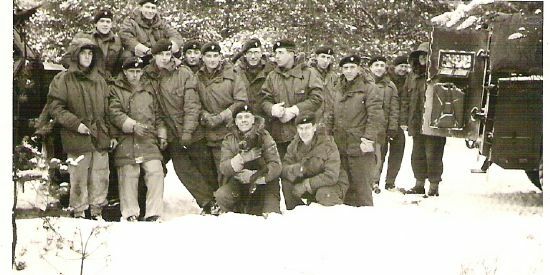 5TH DEC 2011. 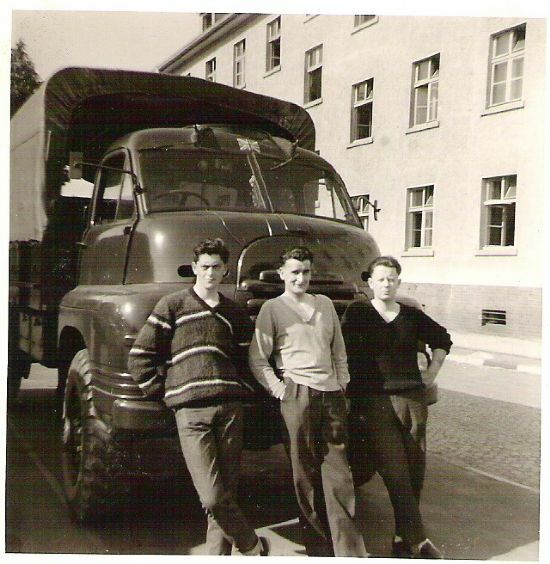 Names needed on this photo please!, From L>. 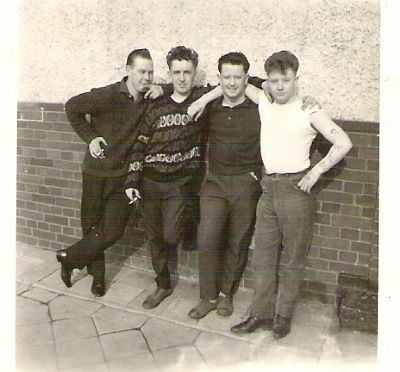 ?, (Bott Left) Harry Hansford, Alan Collins, (a young)Harry Massam, ?, ?. 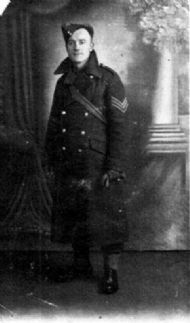 This photo is sent in by Harry Massam, his intake photo, next 2 photos are close ups of this one. 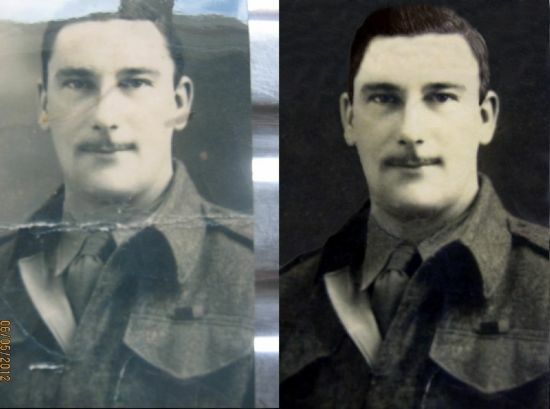 Geraldine Barton has sent in the next two photos of Cyril Frank Barton. 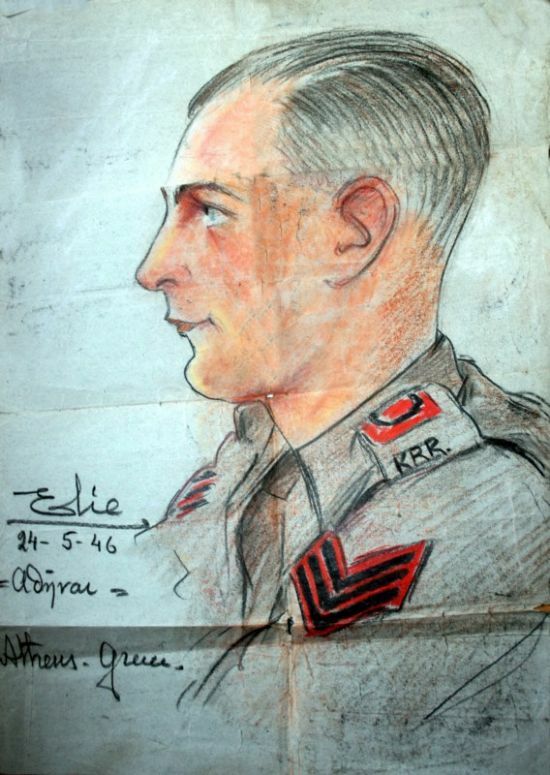 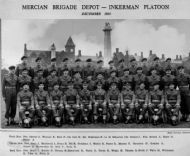 My late father-in-law who went by the name of Frank joined the Worcestershire Regiment,he joined from the TA's in 1939,Dad lived in Smethwick,West Midlands.We believe he saw action in Monte Casino,The desert Campaign & The D Day landing.We know he was by the Pyramids in Giza. 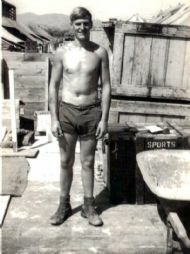 BARBARA SMITH HAS SENT IN PHOTOS 39 & 40 OF HER FATHER. 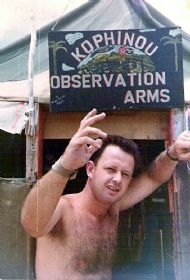 Service No. 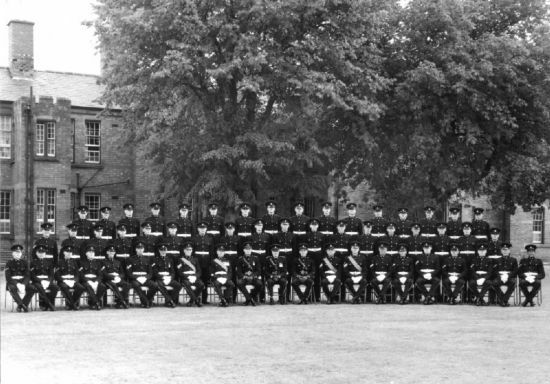 7336476. enlisted in The Royal Worcester's ( Wearing Royal Warks badges),in March. 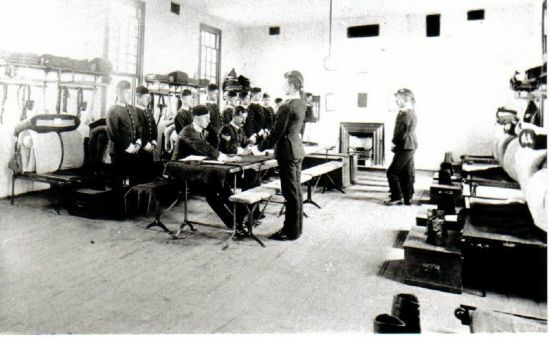 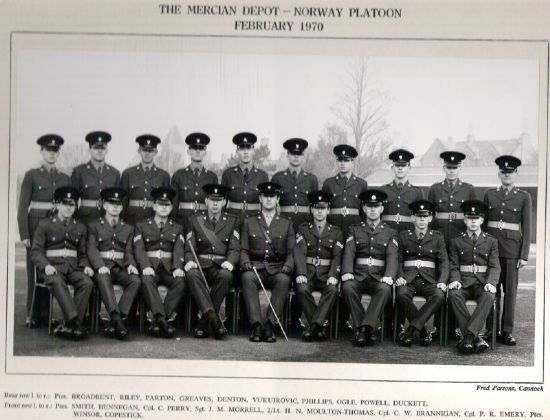 1921. was discharged on 4-2-1933.
passed exams in English-Mathematics- and map reading..
3 WFR PRESENTATION OF COLOURS 1976. 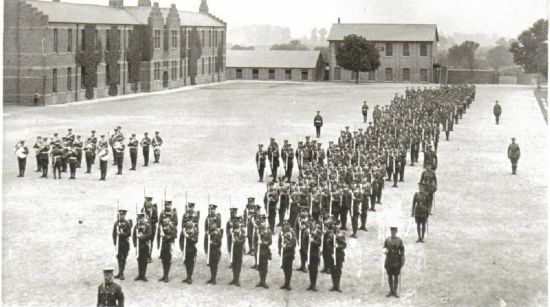 7TH BTTN WORCESTERSHIRE REGIMENT. 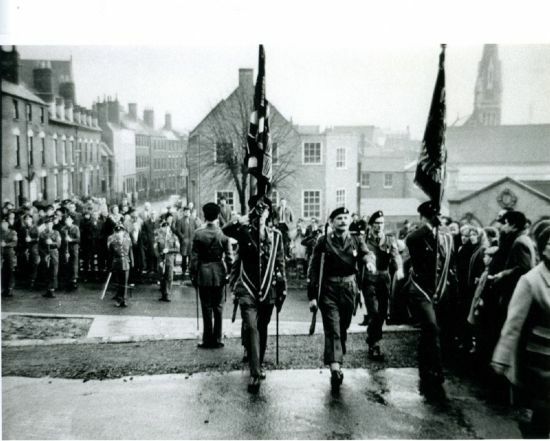 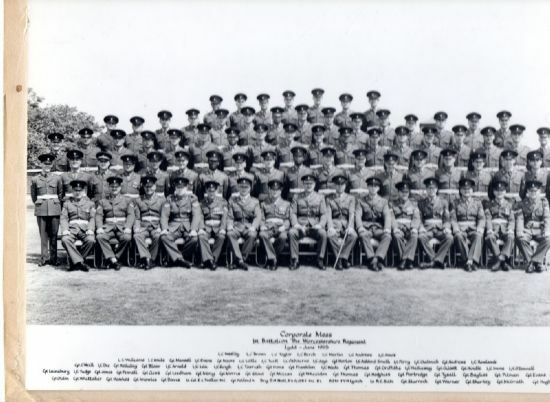 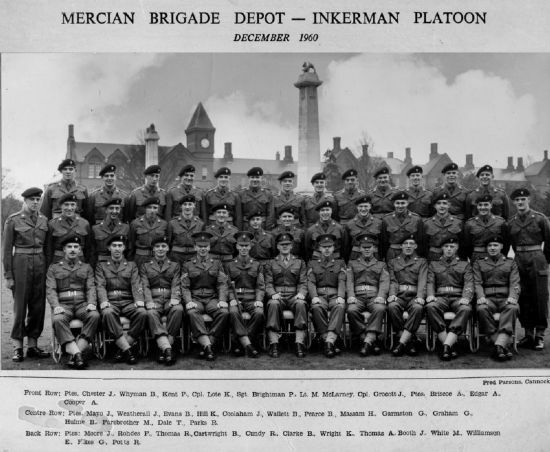 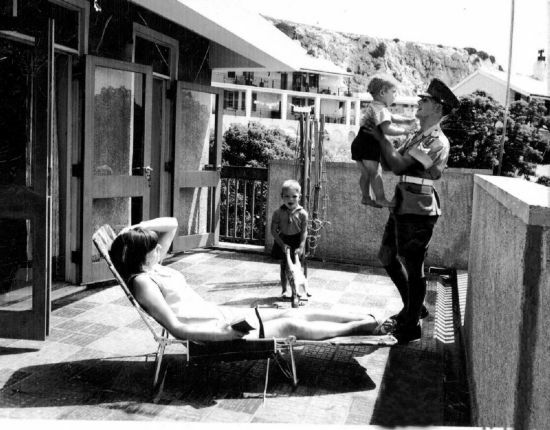 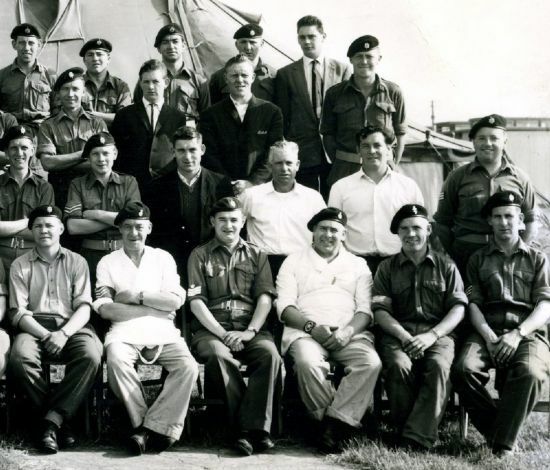 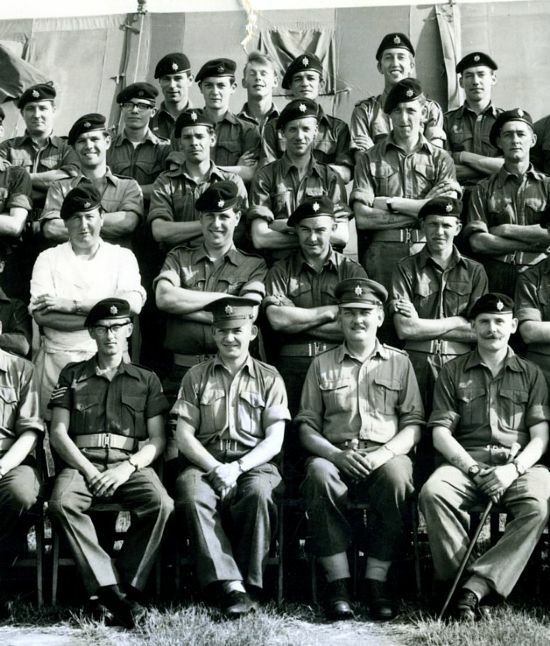 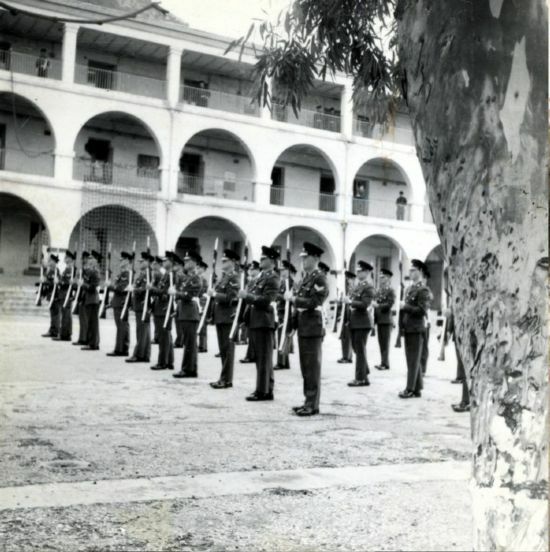 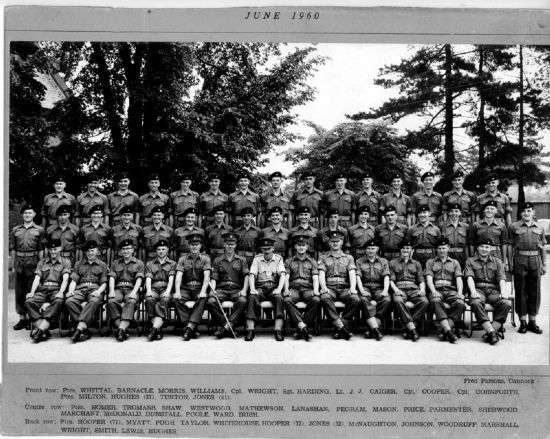 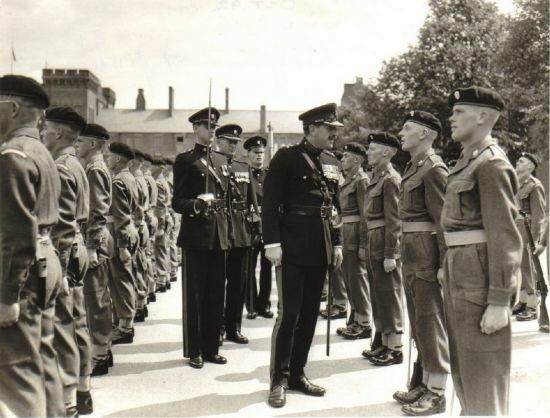 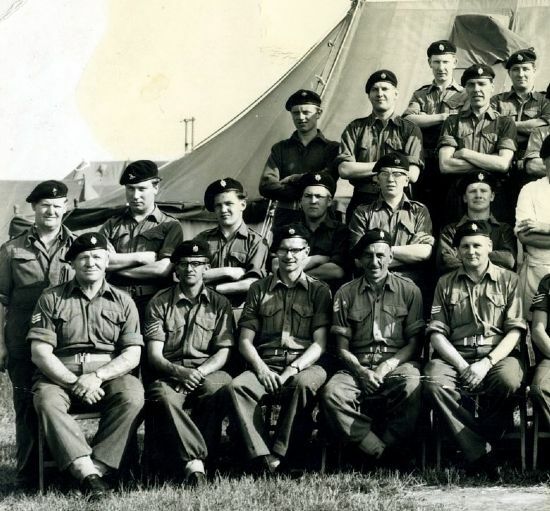 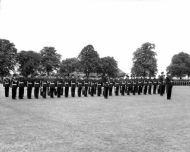 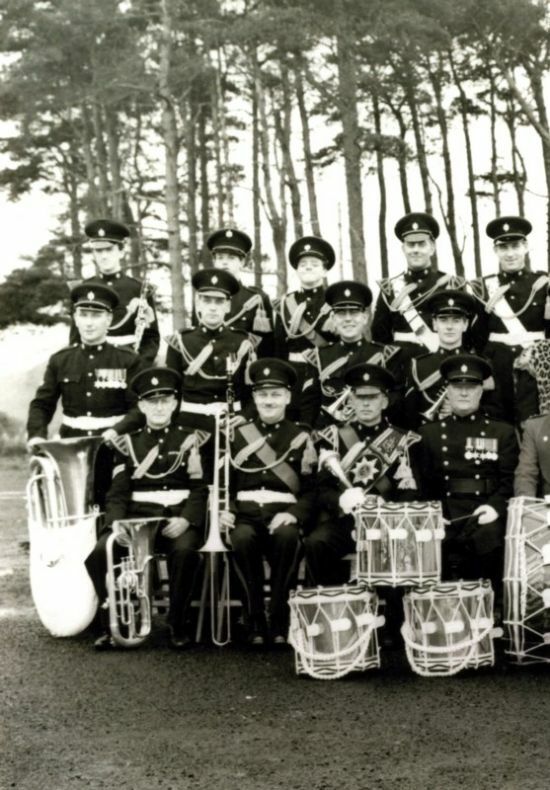 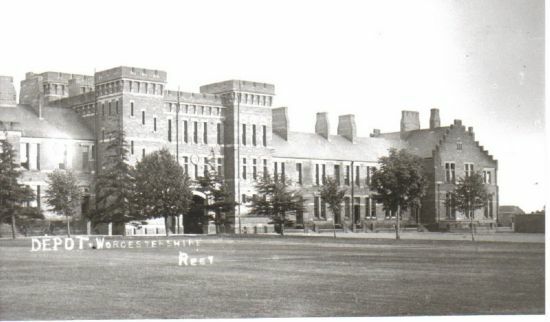 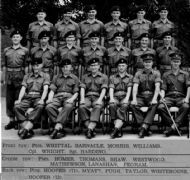 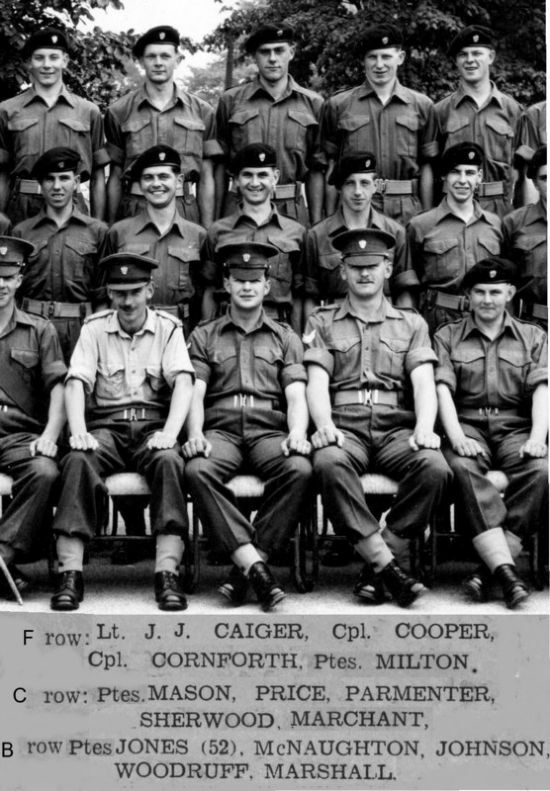 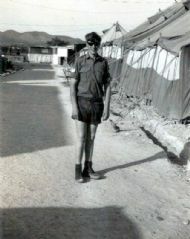 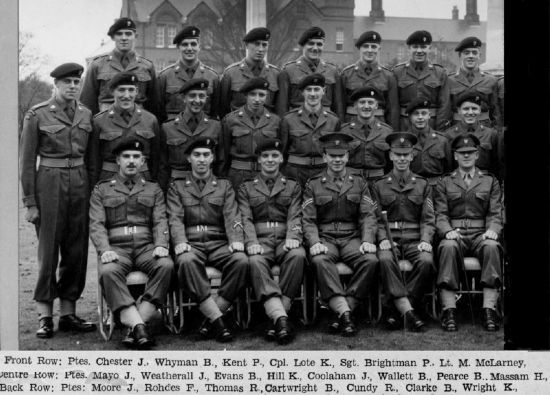 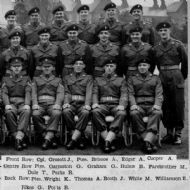 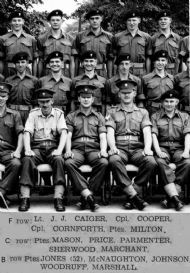 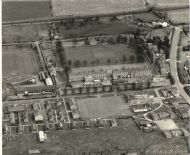 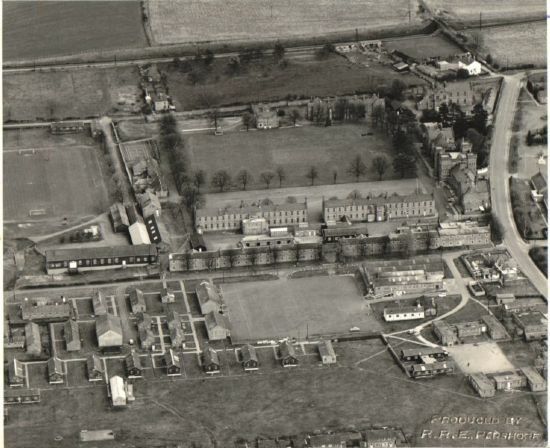 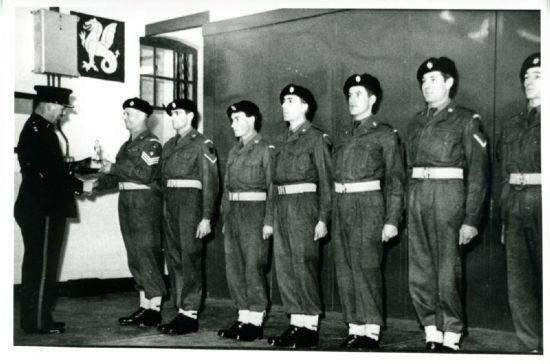 HQ COY FOLKESTONE 1964. 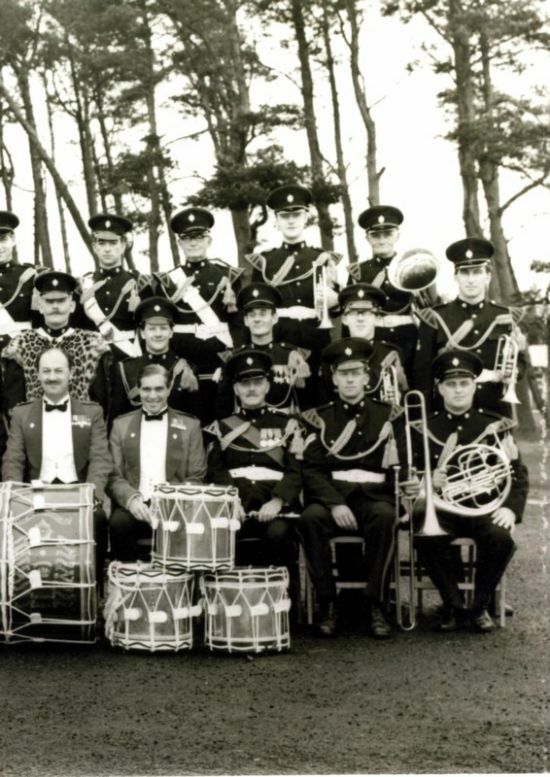 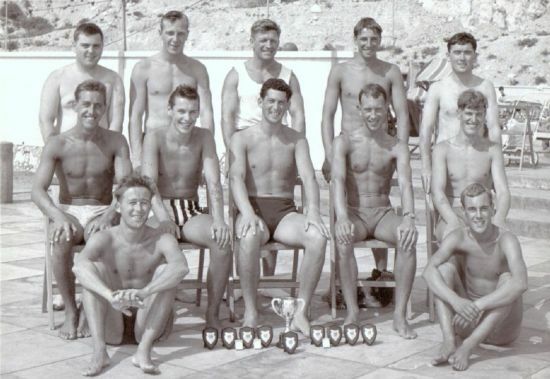 SENT IN BY MAURICE SMITH, HE`S BOTTOM ROW, 7TH FROM RIGHT. 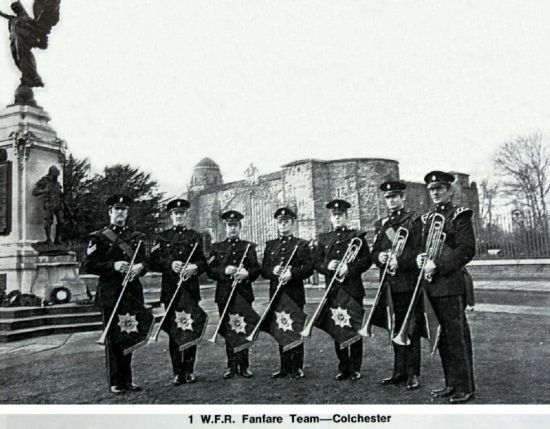 WORCESTER BRANCH MEMBER, DENNIS IS BOTT ROW 1ST FROM R. MAJOR JOHN BAILEY AND PSI.SGT GERALD `GINGER' WORSFIELD. 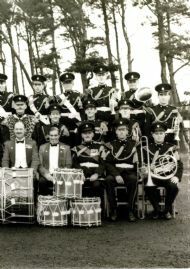 BAND 7TH BTTN WORCESTERSHIRE REGIMENTAL. 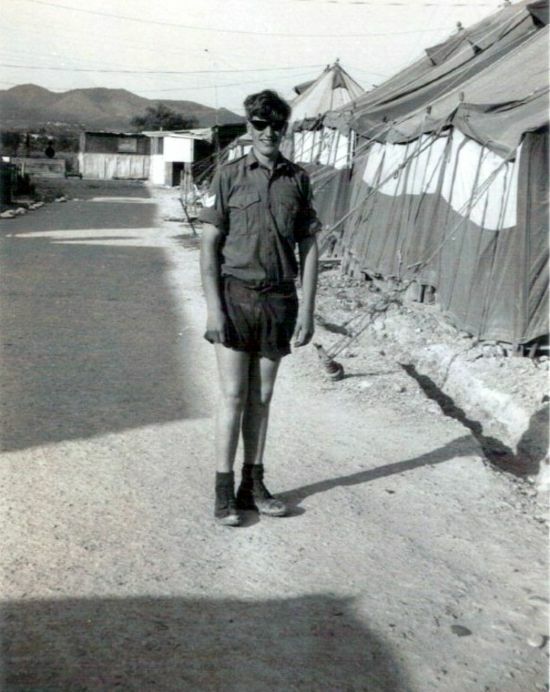 REDESDALE CAMP, OTTERBURN 1967. 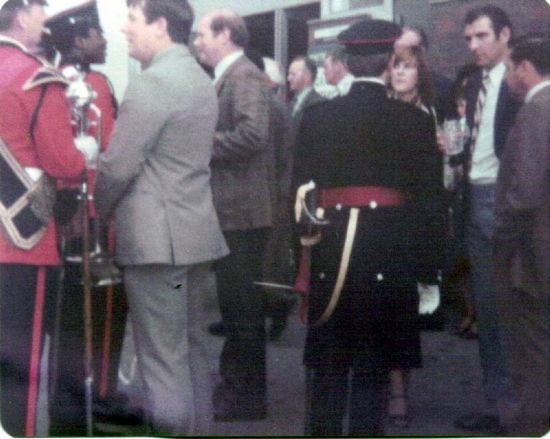 SENT IN BY MAURICE SMITH. COL. HAMILTON FRONT, MAJOR. 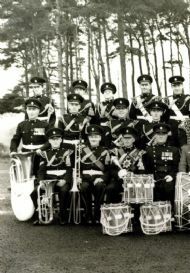 DURRANT 2ic FROM 1st BTT, BAND MASTER WOI KEN BRUNO. 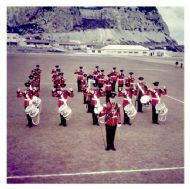 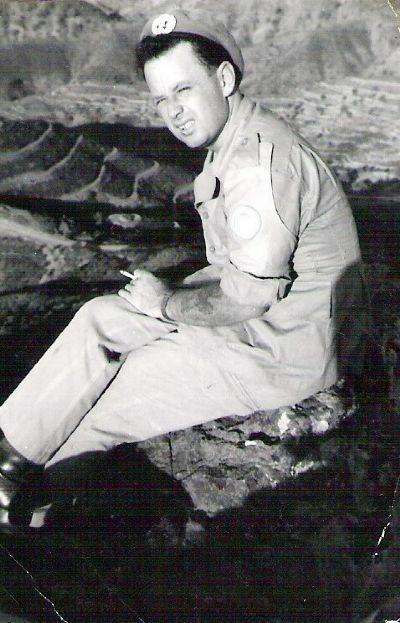 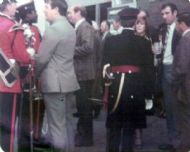 DRUM MAJOR, SGT FRANK OBERY. 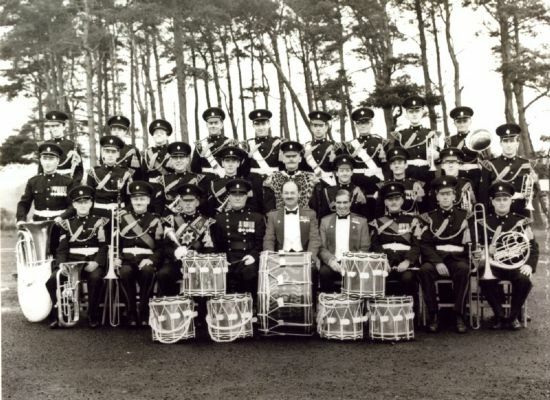 MAURIC SMITH BASS DRUMMER MIDDLE CENTRE ROW. 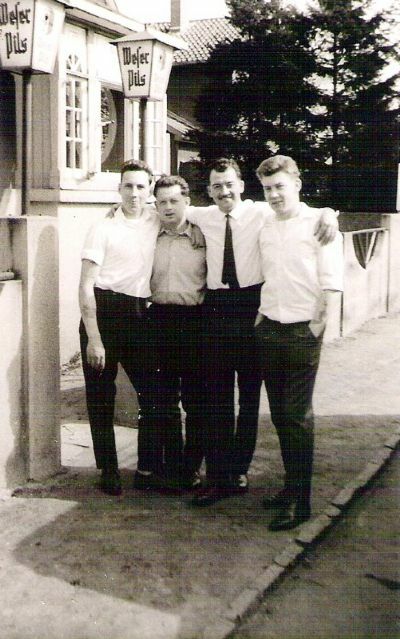 STANDING FROM LEFT,PADDY O`TOOLE, RAY HALLEY, MICK GRAHAM. 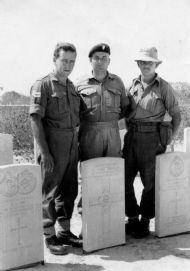 KNEELING/SITTING FROM LEFT, SAILOR O`MAHONEY, BILL GOULD SECTION COMMANDER, UNKNOWN?, JOHN BERRY. 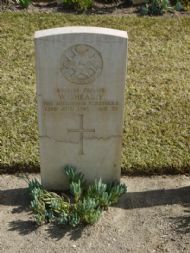 KNIGHTSBRIDGE GRAVES, FROM LEFT. 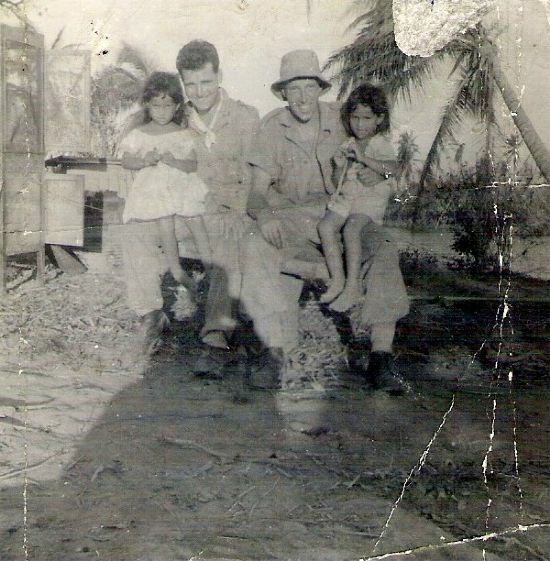 BERNIE HORTON , PEG MARTIN & MICK GRAHAM. 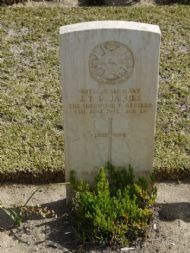 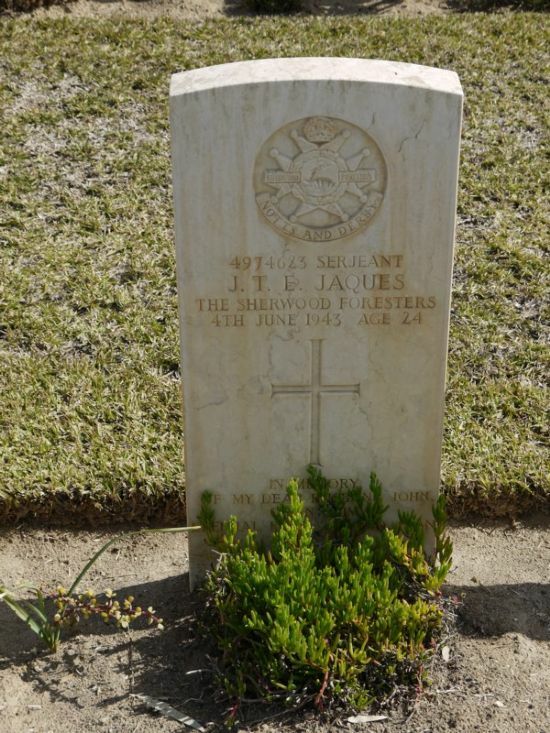 4974623.SGT J.T.E. 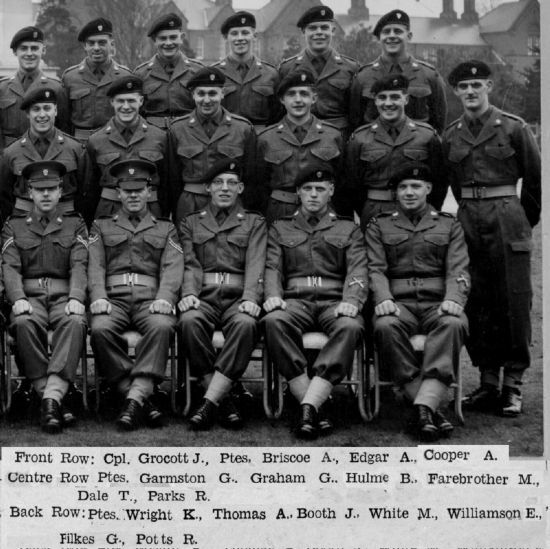 JAQUES SHERWOOD FORESTERS.4TH JUNE 1943. AGE 24. 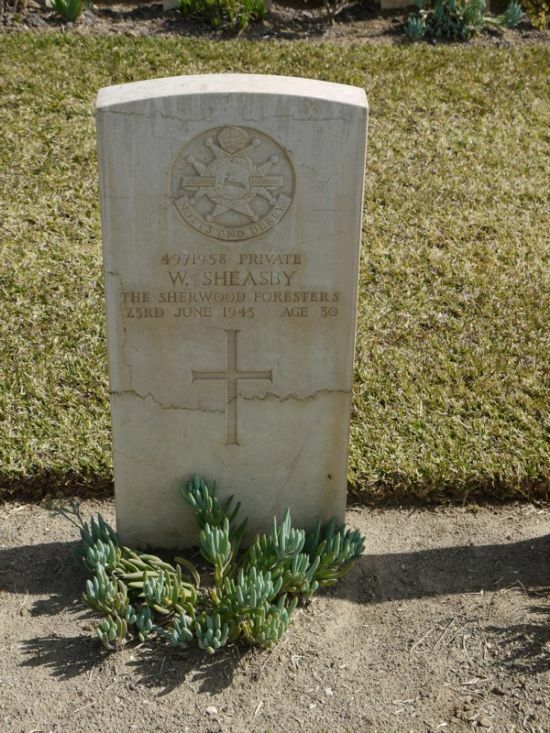 Just thought I’d forward on to you a couple of pics I took on a recent holiday to Tunisia, where we visited the enfidaville war graves cemetery. 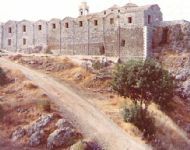 L>. 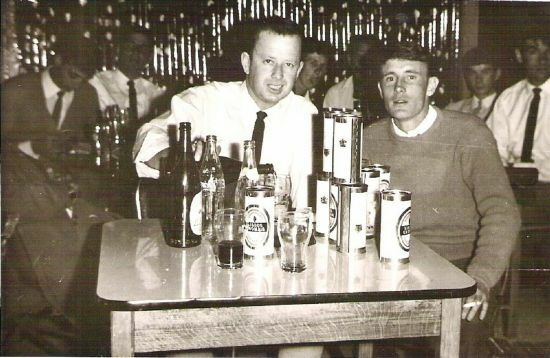 Colin Perry , Paddy Greenan. 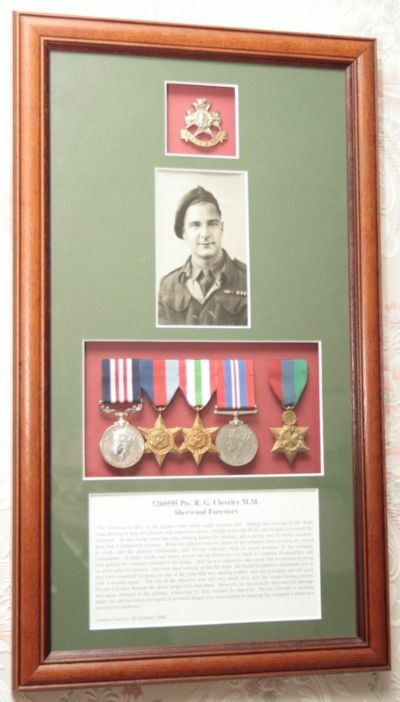 photo sent in by Colin Perry. 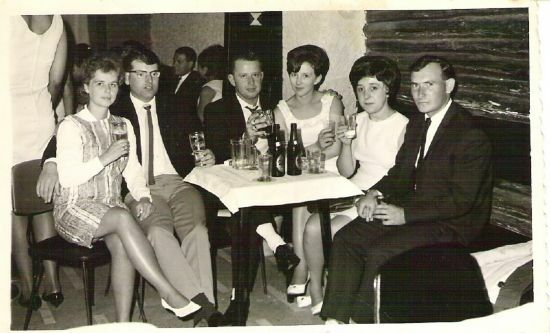 the Fox and Hounds pub in Gib was 1966, L/R Chris Dee, Ernie Dee, Pecker Perry, Ros Perry,Jean Collins and Ken Collins. 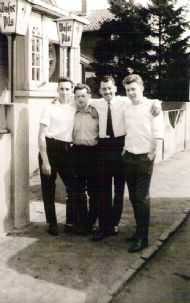 Jack Halfpenny, Dennis Bradley, Pecker Perry Clifton Bks Minden outside HQ blockn1963. 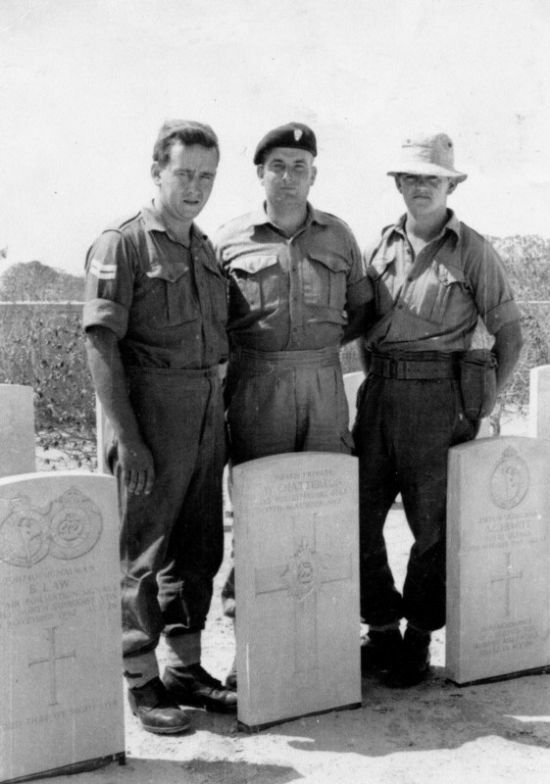 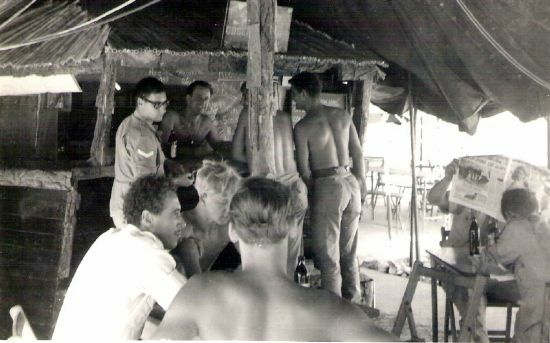 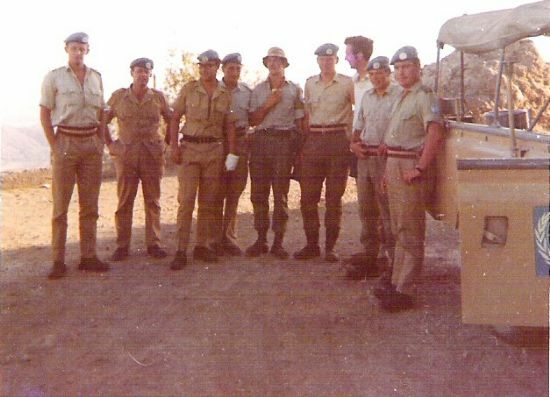 jack Halfpenny,alan stimson,peg martin, chap on the right can't remember his name.either on a range day or exercise think it was sennelager again 1962/63. 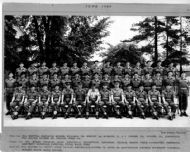 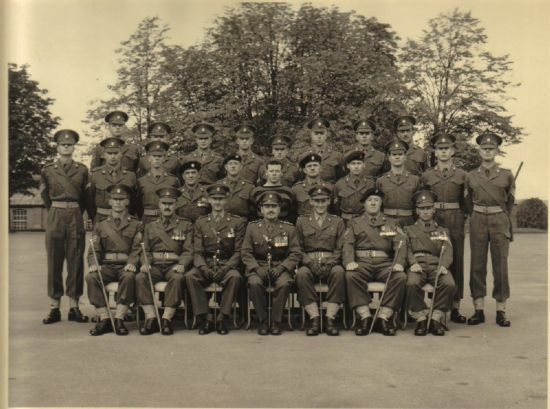 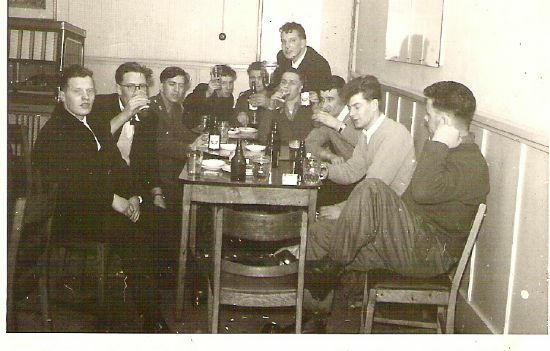 in the Naafi Pic L/r?-Jaye-Mo Morris-Jeff Marcus-?-Big Bill Johnson at the rear-?-Dennis Bradley-?-Nev Tudge somewhere in West Germany Haltern i think 1963. 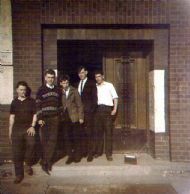 L/R Tanky LLoyd,Mick Toddy Todd, Pecker Perry and Johnny Shaw outside Acoy block Clifton Bks Minden 1962/63. 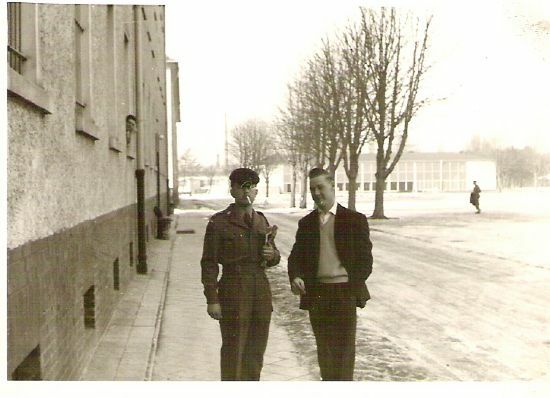 Pecker Perry and Tanky Lloyd outside Acoy block Clifton Bks Minden 1962. 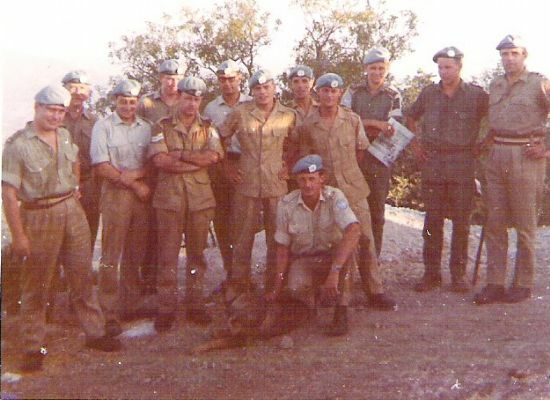 Naafi 3 is Pecker Perry the landlord and naafi manager in Kophinou all pics are 1969.
stavroni 1. 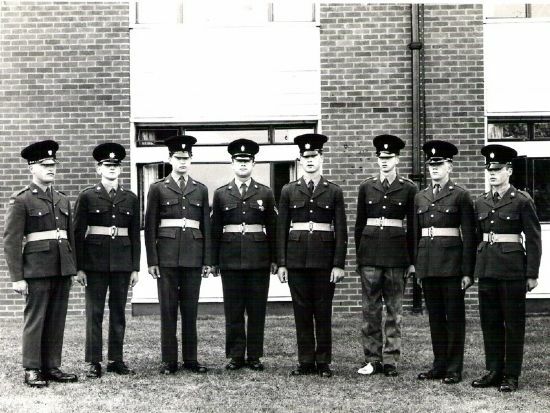 L/R Lt Thewles,pecker Perry, Dave Lewis,?,?Lt Hingston, Aussie Policeman,Hammond(clerk)Capt Fox. 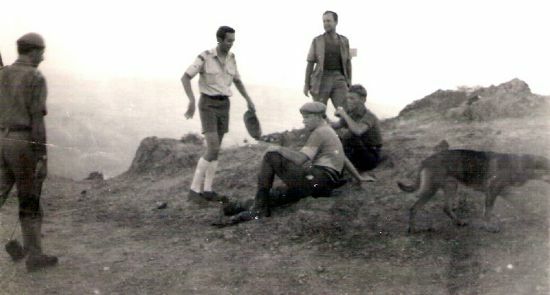 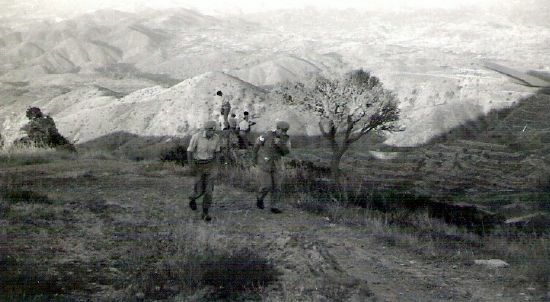 stavroni 3 Major Hargreaves,Aussie Policeman,pecker perry,sitting Lt Hingston, ?, and "nations"
stavroni 5 hammond and pecker perry early morning climb up stavroni. 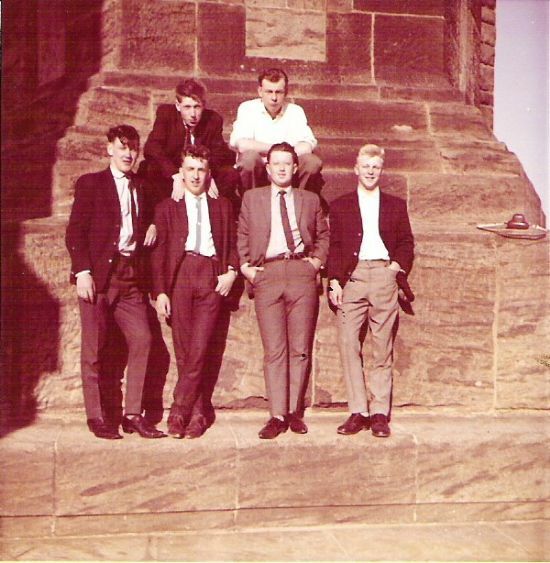 (bored squaddies) L/r Pecker Perry, Mick Todd,Jeff the squirrel Marcus,Tanky Taylor 55 and Bob Poole outside MT block Clifton Bks Minden 1963. 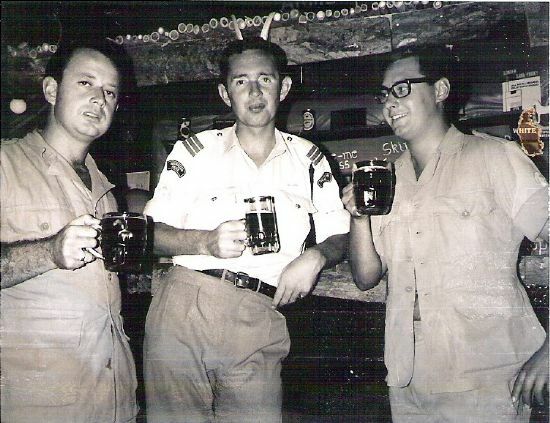 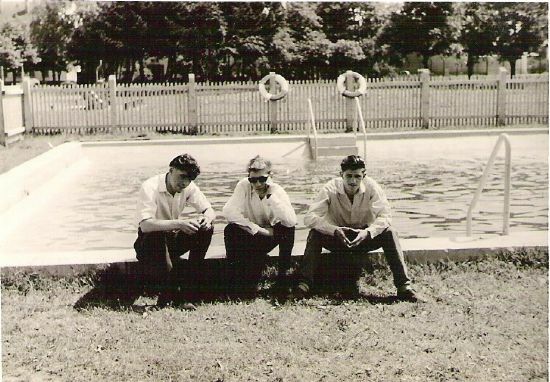 Dudley parade 1962,L/r Pecker Perry, Steve Moore and Wally Wakeman (national serviceman. 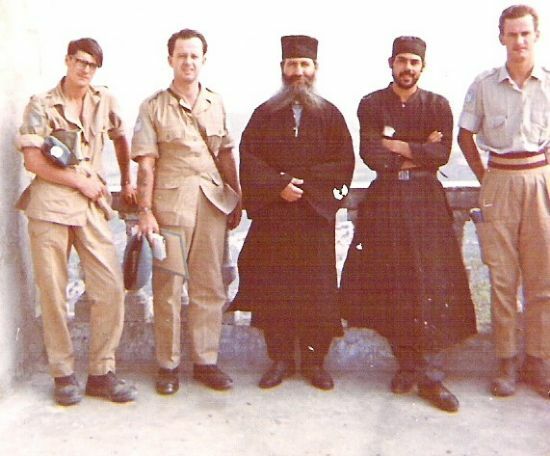 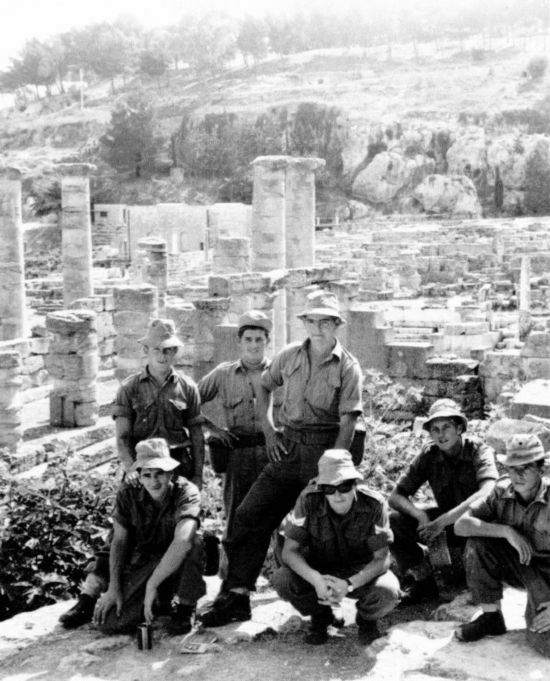 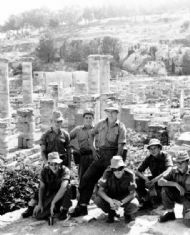 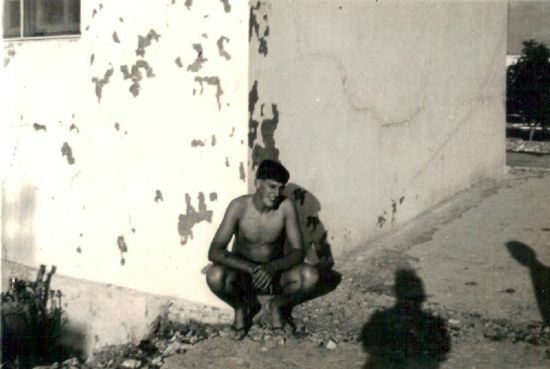 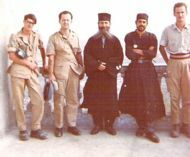 Pecker Perry having a fag break top on Stavroni Monastry Cyprus 69. 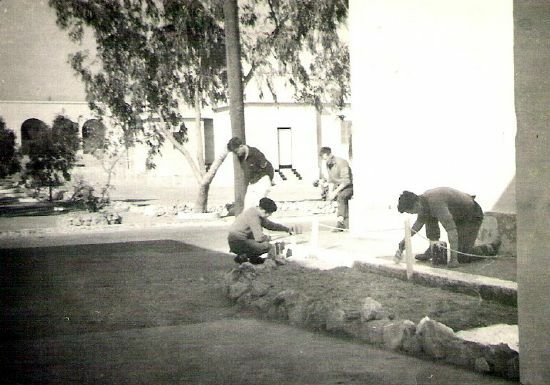 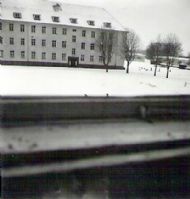 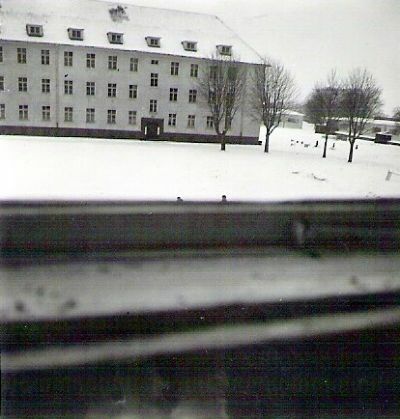 Minden 63 picture taken from MT rooms across the square to B Coy , the coy cmdr had the square swept in front of his coy block to do sports and practice drill, winter 63 Clifton Bks Minden. 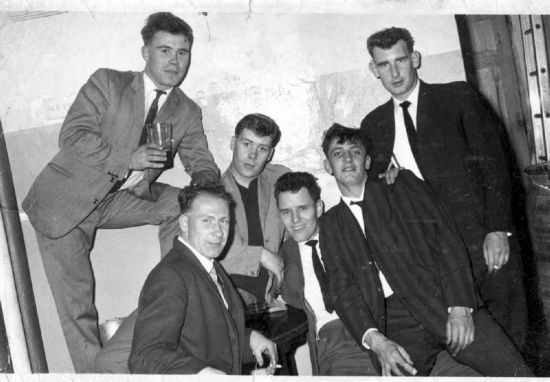 L/r Back, Ball, Goldsmith,SI Griffiths, Daly, ?. PHOTOGRAPH FOUND IN ATTIC OF A MIDLANDS HOUSE. 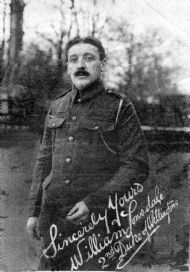 PTE WILLIAM LONSDALE 2ND DUKE OF WELLINGTONS.NOT OF OUR REGIMENTS BUT COMES WITH SOME VERY INTERESTING INFO ON NEXT PHOTO. 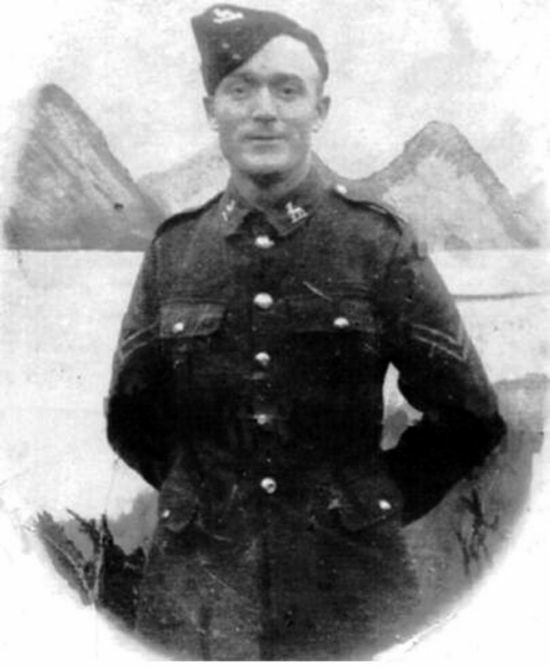 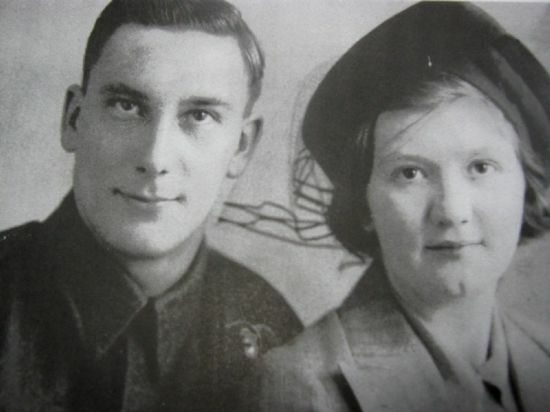 Pte William Lonsdale. 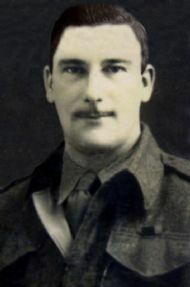 2nd Duke of Wellingtons. 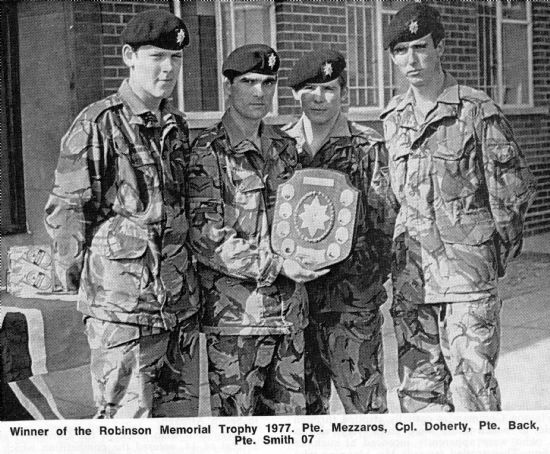 Photograph and info sent in by Patrick Wood. 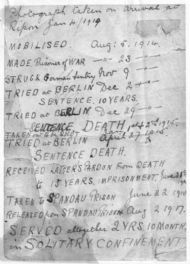 Received Kaiser`s pardon from death to 15 years imprisonment June 21 / 1915. 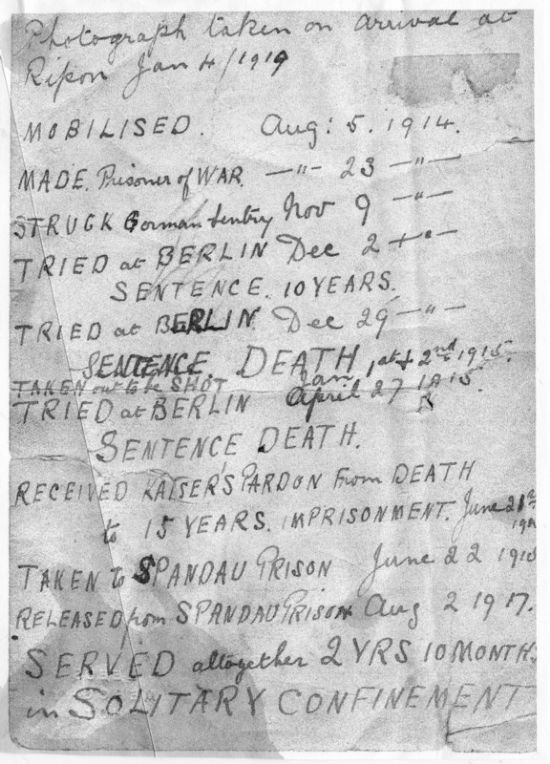 Taken to Spandau Prison ……June 22 / 1915. 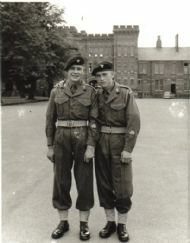 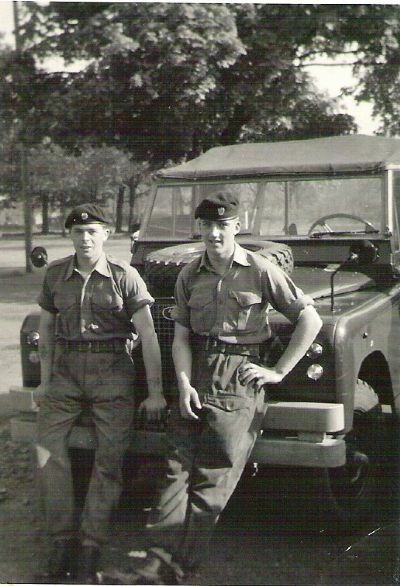 Released from Spandau Prison …… Aug 2 / 1917.
i wanted to share a photo of my father William Wickenden (left) who was in the 1st Worcesters from 1943 to 1947. 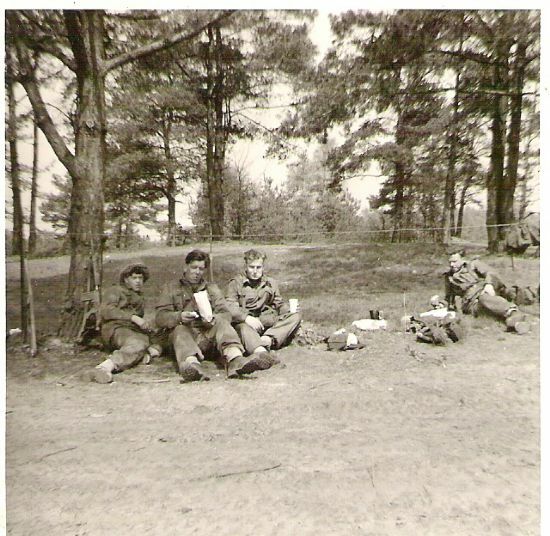 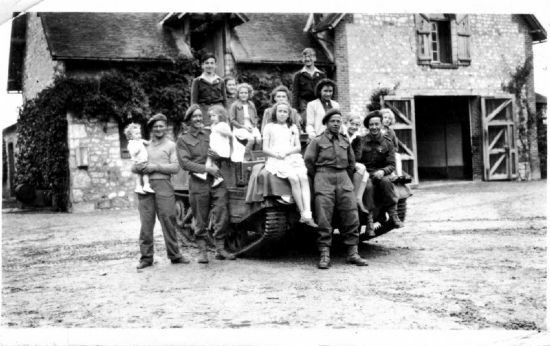 This must be during Operation Veritable but I know little more than what is written under the photo. 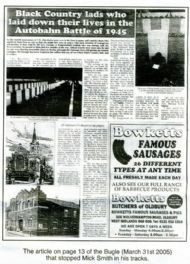 Unfortunately my Dad died in 1997 and so I haven’t any more to add.